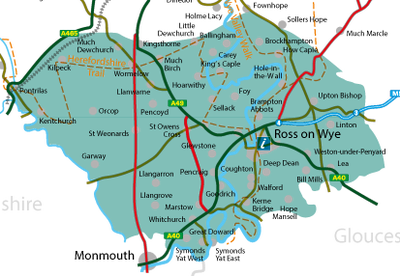 Ross-on-Wye is serviced by excellent road links to all parts of the country. The M50 motorway ends at the edge of the town. 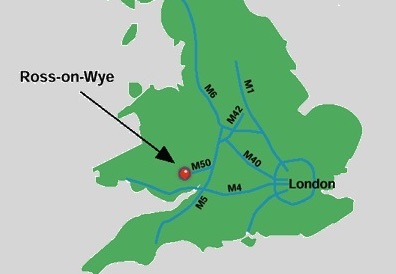 Surrounded by Herefordshire’s rural landscape, the town is within easy reach of the Wye Valley, the Royal Forest of Dean, the Cotswolds, the Malvern Hills, the Black Mountains and the Brecon Beacons. 30 mins to 2 hours depending on area.